Buying your first home is a big step, and if you want to avoid falling into the trap of forever renting, there are several things you can do which will speed up the saving process. Here is a quick guide to get out of rented accommodation and to saving for a house deposit. Whether you are looking to buy a luxury Meriton apartment or a simple two-storey home, it is likely that you won’t be able to save much money if you are renting. If you feel that you can sacrifice your personal space so that you can save, there are a few options for you. One option is to move back in with your parents for a little while. However, only do this if you get on well with your parents and live close to them. If moving in with them will add another hour or so to your work commute, it’s hardly worth it more the extra travel expenses. Talk to them about how much you will stay, what you will contribute towards rent and how you will help out around the house. Either way, you will be saving money on your rent and able to put more away. Be strong, and remember that this extra cash isn’t supposed to be for extra fun and set up a direct debit to go straight into your savings. A house share will be much cheaper than renting a house or apartment all by yourself, as you will be splitting the cost of the house between several people. This should enable you the wiggle room to save more money and, eventually, put a deposit down for your own home! It can be difficult moving into someone else’s space and living with them, especially if they are family or close friends and you are used to living alone. Remember that they are probably feeling the tension too, so do your best to help around the house and not make a mess! Ending The Debate: Should Your Child Buy Or Rent? Its one of the age old questions that plagues every generation: what’s better, renting a house or buying one? This is something that a lot of people have very strong views about depending on their own personal experiences. For many, buying a home is considered the Holy Grail, and if you are someone who likes to settle down, there are no prizes for guessing why this arrangement might work for you. But on the other hand, many renters now swear by their decisions to never fully own a home of their own, claiming flexibility as just one of many reasons why. So why the big debate in the first place? Well, it’s clear just by looking at the statistics that the price of both buying and renting has shot up enormously over the past few decades or so. A three bedroom property that would have cost you $30,000 in 1975 could now have a deposit of that very same amount – meaning the total asking price could be over $160,000. Renting also doesn’t come cheap, with landlords often racking up their prices in order to prey on people who need flexible accommodation at short notice. Plus, there are frequently hidden fees that come with rental properties, such as administration fees and the first month’s rent upfront. So, with both of those issues in mind, people are passionate about their buy vs. rent argument because there is simply a sheer amount of money involved; and no one wants to hear that they have done the wrong thing with their hard earned cash. If your children are of college age and potentially will be moving into a place of their own in the near future, you may want to sit down with them and have a chat about their options. Try and take yourself out of the equation, whatever your own personal preferences may be. Instead, inform your child of the pros and cons of each situation, and allow them to, therefore, make an educated decision of their own accord. We are typically all lead to believe that buying ultimately works out cheaper over time than renting. This is because despite the upfront deposit (usually around 20% of the asking price), mortgage payments have typically been lower over the years than monthly rental charges. However, all this does depend on how things are looking in the current economic climate. Both rental costs are mortgage rates are liable to fluctuate, so generally speaking, the overall cost of your property can largely depend on the timing. Take the time to explain to your child the importance of a deposit for a house and what is expected of them when they try and take out a mortgage. There are generally less checks performed on a prospective renter than there are performed on a prospective homeowner. If your child decides to go ahead and rent a property, you may need to act as their guarantor. This essentially means that you need to sign a document stating that if they account keep up with rental payments, you will be able to cover the cost and therefore bail them out. This isn’t an option for people buying a home, and if your child’s finances are not in order, they have only a slim chance of being offered a mortgage in the first place. Lenders will look at things like financial history and credit scores to guage whether or not your child will be a responsible homeowner. So, if your child is not in full time work or has a dodgy credit history, you may want to advise them to rent until these affairs are put in order. At the same time, some unexpected costs can also occur with rental properties, such as landlords and estate agents charging a fortune for things like ‘administration fees’ and asking for a large bulk of the rent upfront. Some questionable landlords can even try and frame their tenants for breaking parts of the house, so take photos of everything when you child moves into their rental property, and keep a detailed itinerary. Whether your child chooses to rent or buy largely depends on their own personal situation. If they are somewhat of a free spirit and don’t plan on settling down anytime soon, renting could be the perfect option. After all, once you buy a house, you are tied to it, seeing as it is probably your largest financial asset. With a rental property, it is ultimately the responsibility of another, and you are merely passing through. Speak to your child about what it is they want out of their property. Do they want somewhere to feel truly like home, or are they literally just looking for a short term place to crash? More millennials than ever are being unable to buy due to the rise in deposit costs, and are therefore renting as a way to constantly move around the country and even the world. If your child has the travel bug, encourage them to find a house to rent in countries where the housing market is very different to back home. Scandinavian countries like Denmark and Eastern European countries such as Budapest are all famed for their positive attitudes to renting over buying – and as a result, rental properties are cheap and in abundance. Your child may plan on moving around frequently, in which case it makes sense to look for rentals that can be issued on a month by month basis. But on the other hand, your child may be a bit of a homebody, or perhaps they have met someone and they want to purchase a house and get married. In this instance, make sure they are 100% happy with their choice of location – you can’t just up sticks and leave when you are tied to such an expensive asset, so it needs to be somewhere they are confident in. 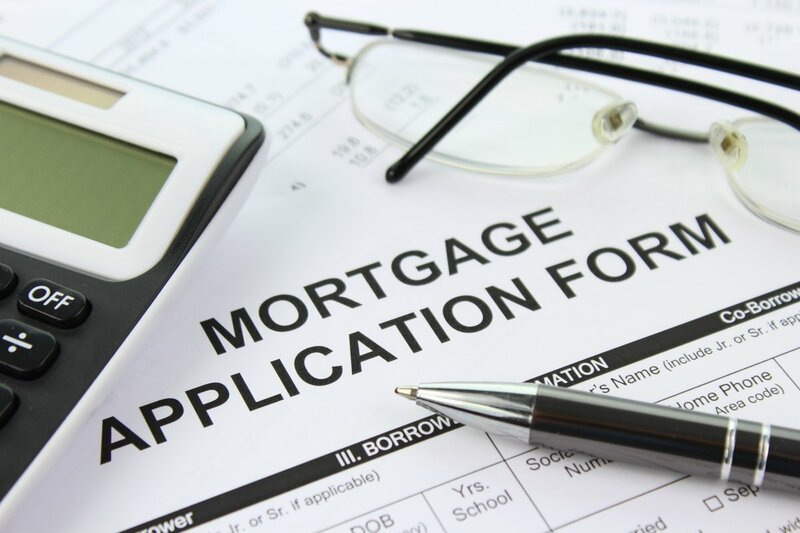 It has already been mentioned that your child is unlikely to be approved for a mortgage loan if their financial history is unreliable or somewhat colorful. But even the most financially secure people can come into problems occasionally. If your child does stumble across some issues and gets into financial jeopardy, losing the house they bought can end up being a very scary reality for them. In the event of a first missed payment, first see if your child is eligible for any support from the government, such as if they are on a very low income. All in all, however, repeated missed payments can lead to one thing and one thing only: repossession. Personal items can first be repossessed before the home in its entirely is taken too, and your child and whoever lives with them are evicted. This can be devastating on a very personal level and can make it extremely difficult for them to ever get another mortgage in the future. That is why if you are in any doubt over your child’s ability to keep up with payments, lower your price threshold for their property or just rent until they are more secure. A good idea before you start making any offers is to use a mortgage calculator tool to measure, along with your child, whether or not they would be able to comfortably afford a home of their own. However, renting is not completely free from negative consequences either. Despite the fact that a rental tenant’s responsibilities are generally lower than that of a homeowner, you do still have an obligation to take care of the property while you are in it. This means respecting the landlord’s rules and wishes. For example, your child’s landlord may explicitly state that they are not comfortable with pets in the house, so advise them not to break said rule, as it could spark off an eviction. As far as decorating goes, some landlord are flexible – but it is still always better to check with them first before your child starts hammering nails into the walls and putting down a new carpet! Plus, you do always run the risk of coming across a landlord who takes advantage of your child. Many younger people are reporting horror stories of staying in dirty, unsanitary apartments at the hands of rogue landlords. Just as there are certain rules for tenants to abide by, landlords also have to adhere to a set of standards. If something goes wrong in your child’s rental property – the boiler breaks, or a window cracks, for example – it is your landlord’s responsibility to deal with the issue and to foot the bill for it, too. With all these conflicting pieces of information it can sometimes seem difficult to decide whether renting or buying is best for your child, but it is important to judge each case on its merits. With your child, decide what is truly important to them: having somewhere to call home and something that will act as an investment, or having the freedom to move as and when they please. Moving home is a tough and complicated process – so when the time comes to move home, and your kids are demanding answers, it can be fairly easy to dumb down the process to buying and selling. We have this much money and bought this house is what you might say, and while it is true, it’s an extremely diluted process. While that knowledge is invaluable, any extra information that you can impart on your children will help them down the line – when the time comes for them to move home! The first thing to do when moving home is to complete the purchase of a new home. This is usually done through a mortgage – money borrowed from the bank to be paid back over the course of time specifically with the home in mind. In some cases, properties are bought outright, but a mortgage is most common. You need to work out what you can afford and a good way of estimating is basing money off of the mortgage deposit. 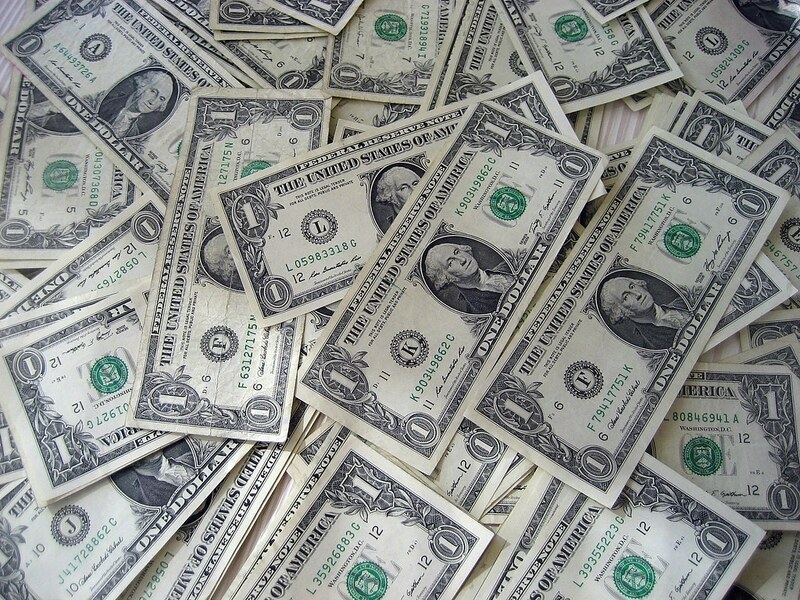 Ten percent is the usual borrowing limit so $10,000 dollars will likely give you the ability to borrow up to $90,000. This means that $100,000 is your range for buying. This will differ from lender to lender. Once you know how much you can spend, you’ll need to locate the perfect property. This is easily done thanks to estate agents and real estate websites which afford the buyer an in-depth look at their new home. You can get a better look at a home by arranging a visit, or viewing. After one, or multiple viewing of various properties, you might have identified the perfect property. This is a stage where you can feel free to negotiate a price. You could possibly get the seller to drop their asking price slightly to either bring the property into your price range – or you could simply do this to save cash and increase the power of your deposit/down payment to reduce your monthly mortgage repayments. There are a number of things you need to think about when negotiating a price on the home. If you low-ball the buyer, you might insult the seller and miss out on a good home that you’ve taken the time out to identify. Of course, you also don’t want to pay more than you need to. Thankfully, there is plenty of data on hand… Look at sales in the same area as the potential new home. Is your offer in line with these sales? Did these sales go for an amount lower than the actual asking price? If the mean price of homes in the area matches the asking price, you don’t want to dip down on the offer much at all. It also depends on the market; some areas get snapped up quick, others don’t. If you’re on a high-interest market, a strong offer is going to be needed if you don’t want to lose out, but you’ll have a lot more leeway in other markets. Finally, consider how long the home has been on the market. If it has been up for a while, you’ll have a better chance of a lower offer being accepted. Once your offer has been accepted, this is where things get a little bit tricky. Contracts need to be signed, and you can be caught out here by the seller or their legal team. Contracts need to have clauses inserted which mean that you can back out of the sale if there are issues with the home. These issues can also be used to leverage a price reduction on the home. This is the time for you to pay for a professional home inspection which can bring defects in the home to light. A price reduction can be asked for upon discovery of issues, while major problems can be a total dealbreaker. Now is the time to find out. Once this stage is over, you can submit your final mortgage application, go over the costs of closing and then sign the contract. It goes without saying that this part of buying a home is full of legal lingo – and if you don’t understand anything you need to find a conveyancing solicitor who can help. This is worth doing anyway as these professionals can sort out a lot of issues to save you the stress of doing so. 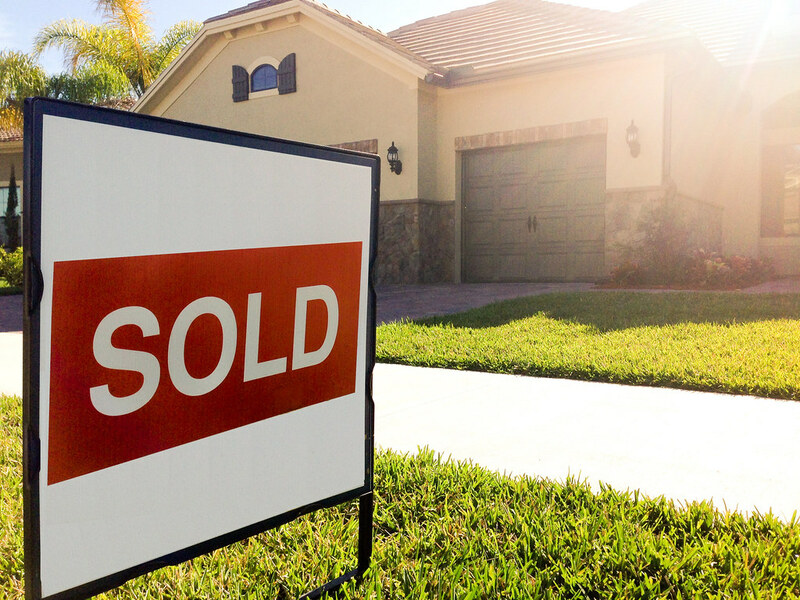 The closing stage of purchasing a home isn’t just about signing on the dotted line though. Firstly, you need to make sure nothing has changed within the property since your inspection. Then, all the money needed for the purchase needs to be paid into the seller’s account. This is now a good time to review the paperwork that needs to be signed so that you can triple check every clause in the contracts. You need to work out how much you’ll be paying each money and agree on your final mortgage deal. At this point, you’ll know exactly what is expected of you by your lender and you can now sign on the dotted line. A move in date will be discussed and that’s it, you’re a home owner! 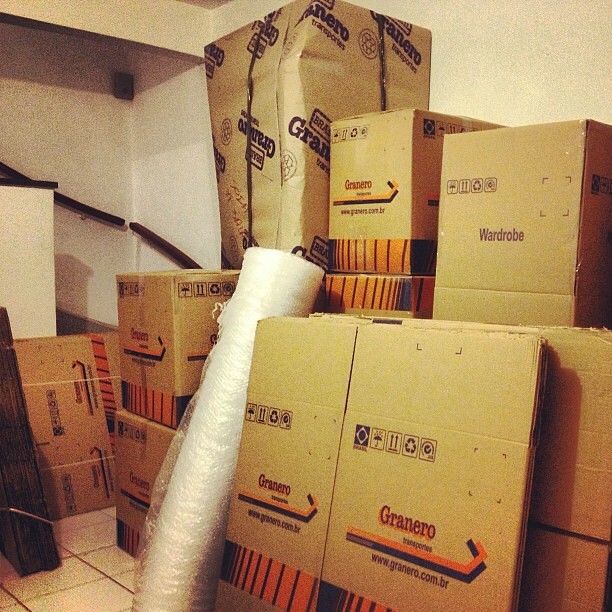 Moving in is a big deal, so get everything boxed up well in advance. It’ll be worth your time to organize a professional cleaning of your new home so it is perfect upon your arrival. You might have already organized some contracted renovation, so this might delay your true moving in date. In any case, get all your stuff packed up and ready to be moved into the home. Book a removal company well in advance of the moving date and pack up. If you’re selling your current home, do a top to bottom sweep and rid yourself of everything you don’t need while leaving a clean house behind you. That’s just about everything you need to know when moving home, it’s a complicated process and the more knowledgeable you are at the start, the better you’ll handle the inevitable curveballs that will come your way during the buying process. There really is a lot going on when we move home. From money changing hands to a full on moving process. It’s a process that brings up a lot of questions. Let’s break down some of the most common questions that are asked when moving home! 1 – How Do I Get A Mortgage? Well, you need to go to the bank. A mortgage is a loan given to the buyer by the bank so that the buyer can purchase the property from the seller and then pay the bank back. Mortgages are usually paid back over a long term period. To gain access to a larger loan from the bank, you’ll have to pay a bigger deposit, just so the larger amount of money is at least secured in some way. There are plenty of different mortgage providers, so you can shop around. But why would you want to shop around? Aren’t they all just the same? Not really, each lender will add a different amount of interest on top of the repayments, meaning the same loan could be made more expensive. 2 – What Happens If I Don’t Pay Back The Mortgage? If you don’t pay back the mortgage, your house will be repossessed by the bank. This is because the house is what you have borrowed against to achieve the mortgage in the first place. You’ll also lose your deposit. This isn’t an instant process, but it will be put in action within thirty days of a missed mortgage payment. Within ninety days the bank will have started the foreclosure process, which would be their attempt to repossess the house. This can lead to the bank auctioning off the site to reclaim the money. There are plenty of ways around this – just try to make back the payments. You could also try to sell the house. 3 – What Happens If I Can’t Meet Mortgage Payments? Refusing to pay a mortgage and not being able to pay are two different things. If you know that you won’t meet your monthly payment, you need to let the lender know. In almost all cases, a lender would rather you work to meet payments. It means they don’t take a loss on their investment in you. You could switch to simply pay the interest on your mortgage to lower the cost, or work out a new plan. In many cases, help is available for you to seek if you know you won’t be able to meet payments. 4 – Is Buying A Home Better Than Renting A Home? Some people rent, some people buy. Many people would say that renting is ‘dead money’ – your cash isn’t going anywhere. However, some people can’t afford to buy, or they might not be ready for the responsibilities that come with home ownership. When is renting better than home ownership? Well, it’s circumstantial. If you are always on the move – renting might be better. If you don’t want to dive into the world of home maintenance, renting is better. The ‘dead money’ argument, for the most part, is true. Buying homes are solid investments, but a lot of the monthly costs involved with home ownership don’t go towards paying off the mortgage – insurance, tax, energy bills. Don’t kid yourself into thinking that dead money isn’t involved with a mortgage. What’s more, interest rates are pretty low – meaning that in most cases, a mortgage might be cheaper than renting. This depends on your down payment as well, though. 5 – How Do I Handle The Legal Side? This is where things get difficult. There are a lot of legal documents and papers that need to be filed when buying a home. While a keen legal eye might get far, it is worth leaving the job to experienced agencies in the field, like www.tbw.uk.com/conveyancing-law/property-lawyers-solicitors-bexleyheath.html who can handle a number of things. These agencies deal with areas such as declaring property boundaries, neighbour disputes, the fixtures included with the sale, building permissions, guarantees, regulation certificates, validate the owner of the property, register the site and much more. Of course, these can be handled by yourself, but it is worth hiring legal help. There are a lot of pitfalls associated with home ownership. These cover the basic areas of buying a new home and should be more than enough to get you started with your interests. There are a number of areas to branch off into as well – such as researching down payments, mortgages and of course, the complex legal side of home ownership as well.